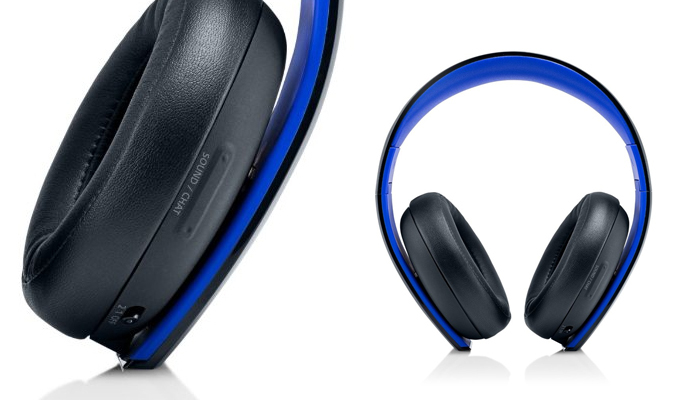 The Sony MDR-XB950BT/B Bluetooth headset is one product that helps the user to experience the true meaning of freedom. With its incorporated Bluetooth technology, the user of these headphones gets to enjoy a vibrant bass and an accelerated rhythm wirelessly. The powerful 40 mm neodymium diaphragms, in combination with its enhanced bass reproduction system, make the headphones palpitate with a deep, vibrant bass that gives an electrifying sound to every genre of music that is played on the headset. The bass performance of this product is enhanced by the use of digital signal processing technology. This technology gives the user a rich, multi-sensory experience. 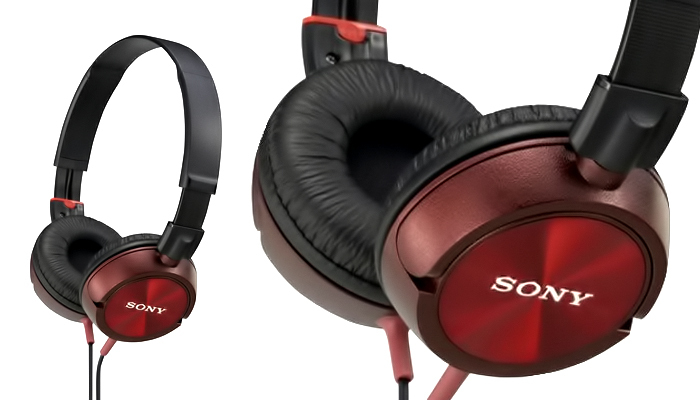 With these headphones, it is possible to enable or disable the bass enhancement feature as desired, depending on the kind of music you are listening to. Regardless of the genre of music involved, you will always get a powerful bass response which is perfect for all musical styles. There are vents on the product unit which facilitate the circulation of air at low frequency, thereby optimizing the effectiveness of the diaphragm to allow a more accurate reproduction of bass rhythms. There is a button on the product unit which can be pressed to increase the Bass output significantly, although using this extra utility is absolutely optional as it is not mandatory for one to use it in order to enjoy the full power of these headphones. 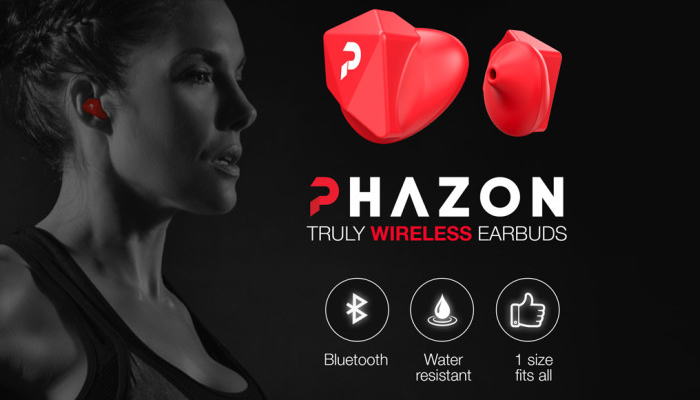 With Bluetooth technology, you can wirelessly connect the headset over a short range of distance to a compatible device, provided that the connection will not be interrupted by objects within the signal path. 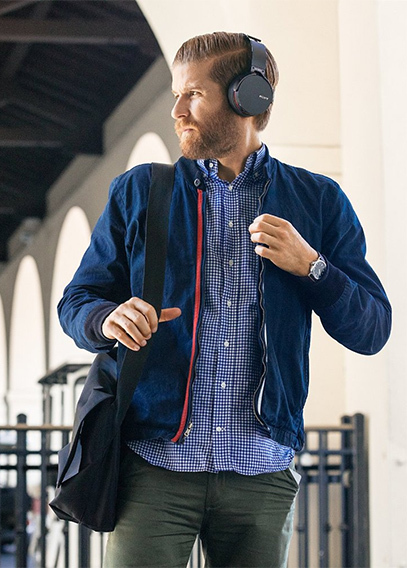 Once the wireless connection has been established, you can listen to your favorite music on your headphones from your smartphone or tablet. With NFC connectivity, establishing these wireless connections could not be easier. All that is required with NFC (Near Field Communications) is for the user to simply position the NFC-enabled device in contact with the headset for quick connection and tap on the NFC icon in order activate or deactivate pairing of the devices. 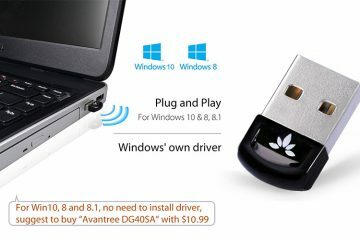 Subsequently, you can start broadcasting your content via Bluetooth. Also, hands-free phone calls can be done while still listening to music with these headphones. With the single-button control of the headset, you can receive phone calls hands-free on your compatible Android smartphone or iPhone. Changing the music tracks and switching between music and telephone calls can be done easily without having to remove the headphones. 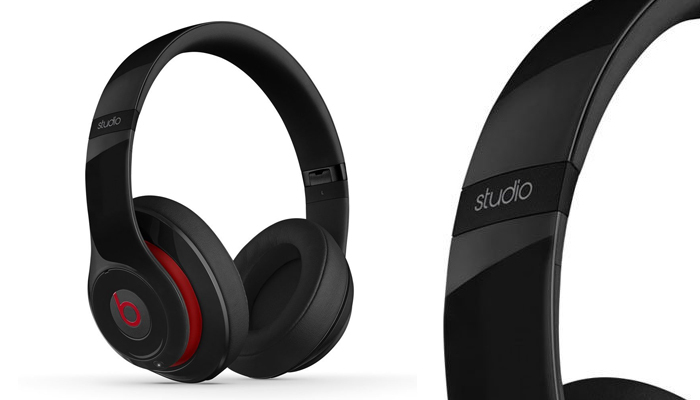 The battery life of these rechargeable headphones is very good and is reputed to be able to last for as long as 200 hours when on standby. When used for voice calls, one can speak with it for upwards of 20 hours. 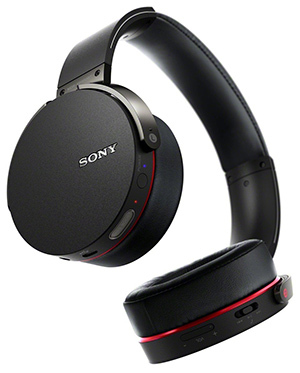 I find the Sony MDR-XB950BT/B Extra Bass Bluetooth Headset to be very agreeable judging by parameters such as overall sound, bass quality, comfort, price and usability. It delivers a good bass sound but one that is not at all overbearing and it seems to work well when it is used to listen to most genres of music. 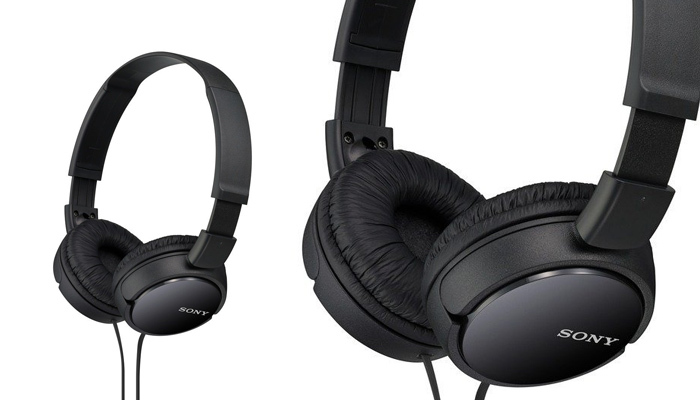 These are a top of the line headphones being offered at a reasonable price. I make no hesitation to recommend these for audiophiles who like to have a little bit of bass in their music. Cool review bro. 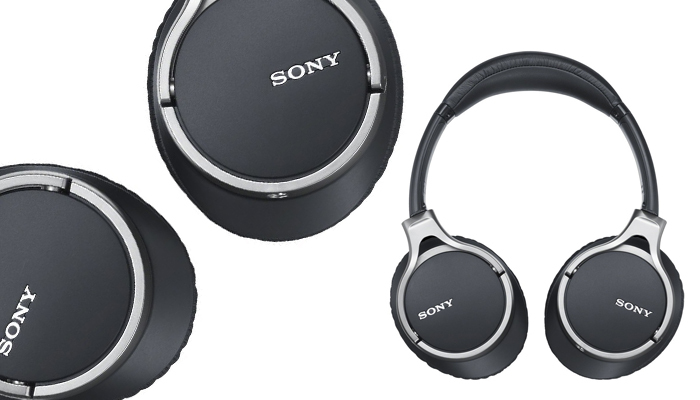 Do these sony headphones really have powerful bass sound? Looking for a headset with audio engineering quality. A bit pricey but well worth it. Anyone purchasing these MDR’s will not be disappointed. Top notch headset I have to admit. I’m considered new to this wireless headphone phone thing, so it took me a while to get it setup. Overall, having a great experience with these babies. 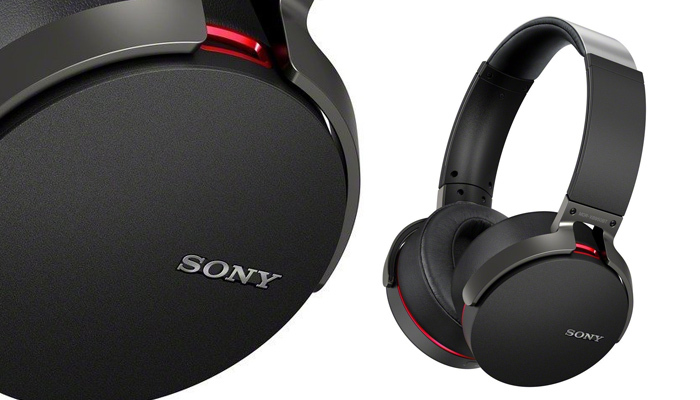 Sony’s MDR line are nothing to play with. 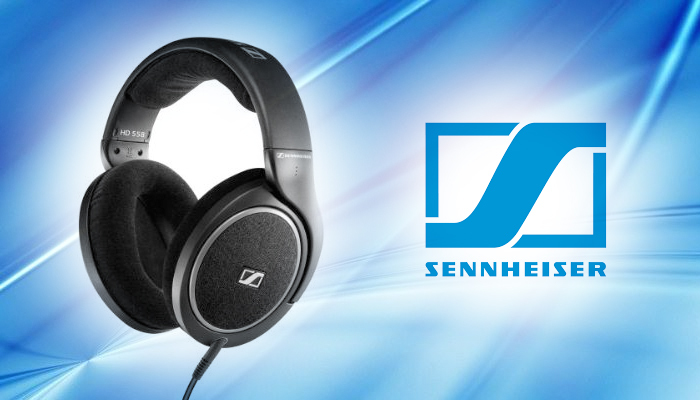 They definitely have superior audio versus their lower line of products.